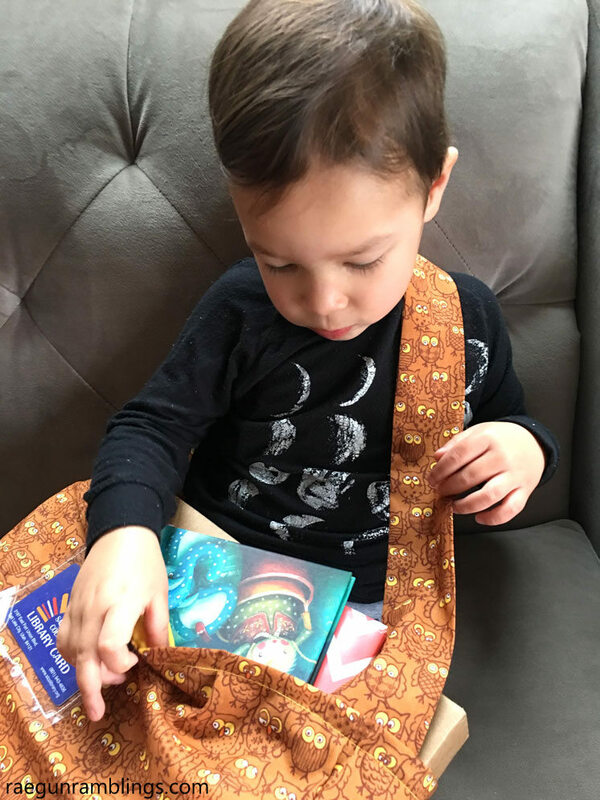 No more juggling awkward sized kid books with this easy kids book bag tutorial and learn about my newest book mail favorite, Bookroo. We’re book fanatics in my house. It’s not just me and all my YA Lit either. My kiddo has just as many books as I do, maybe more. We have books shelves (or at least designated spots for books) in every single room. I don’t think I need to convince you guys about how valuable it is to read to our little ones but here are a few of my favorites perks. 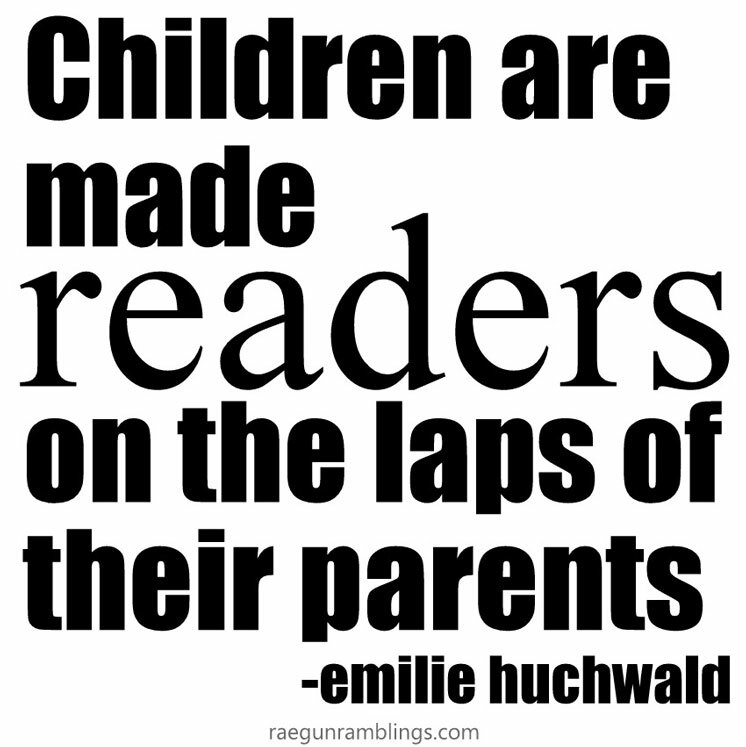 From problem solving to random facts about the world, to the beginnings of reading, when we read to our kids they learn. There is a special bonding that happens when you read together. There is almost always cuddling just since it’s the natural position to sharing a book and the reading time is focused in a way that little other activities are in our hyper connected world. And with the mesh of those two reading somehow opens up amazing conversations. Books and kids are just a good mix. We love our time at the library and sometimes bring home books but when the kids are so little and let’s face it germy I honestly prefer to own our own. 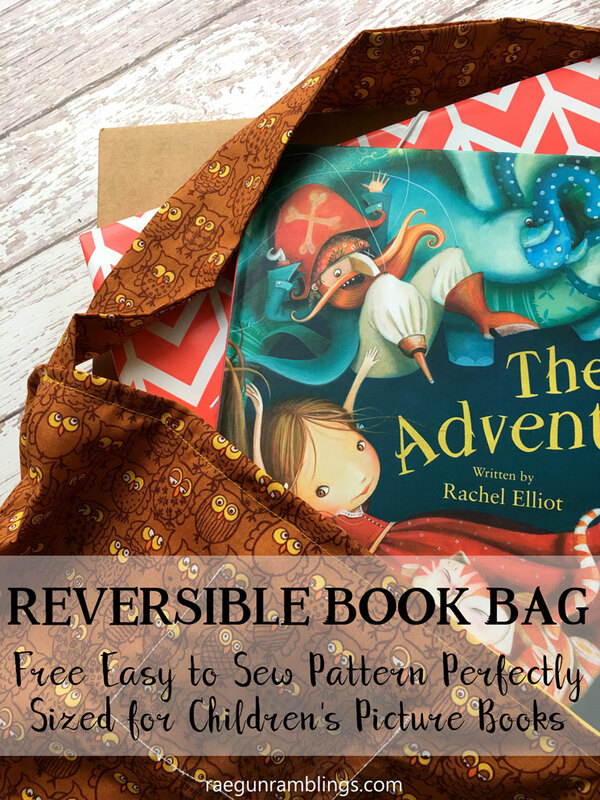 So I’m thrilled to be partnering with Bookroo a monthly book subscription. Every month we will be getting some happy book mail. 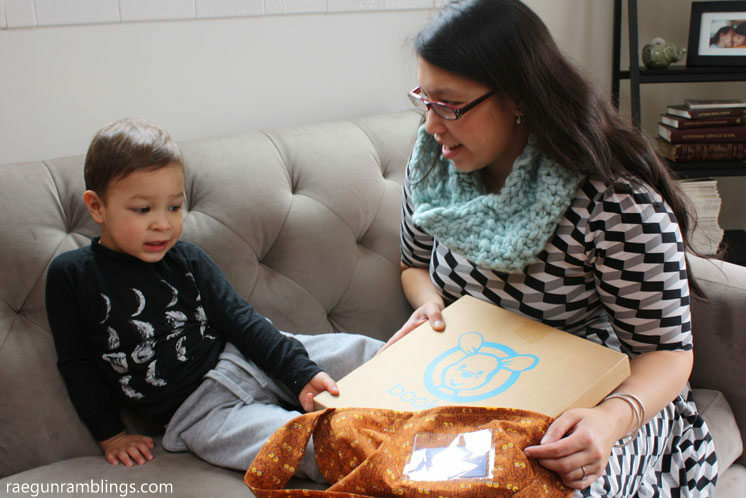 I know that I love my Owlcrate so I’m crazy excited that Teddy will have his own bookish box! 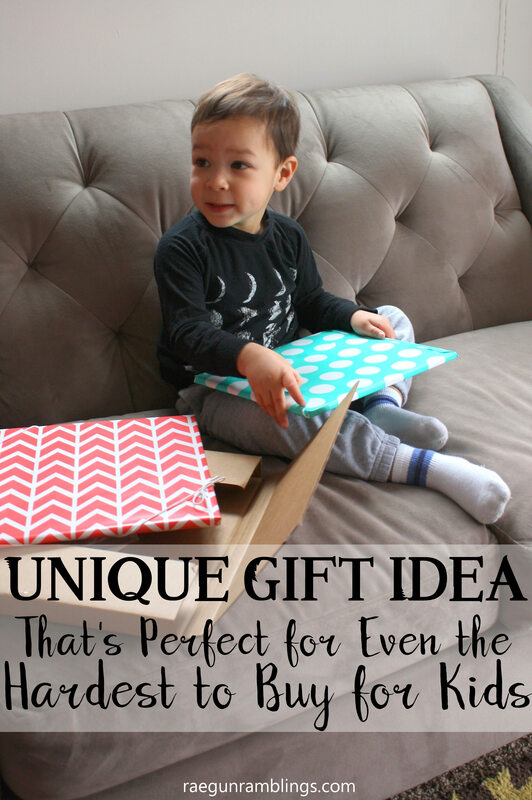 I think this would make just the perfect gift for just about any kid. 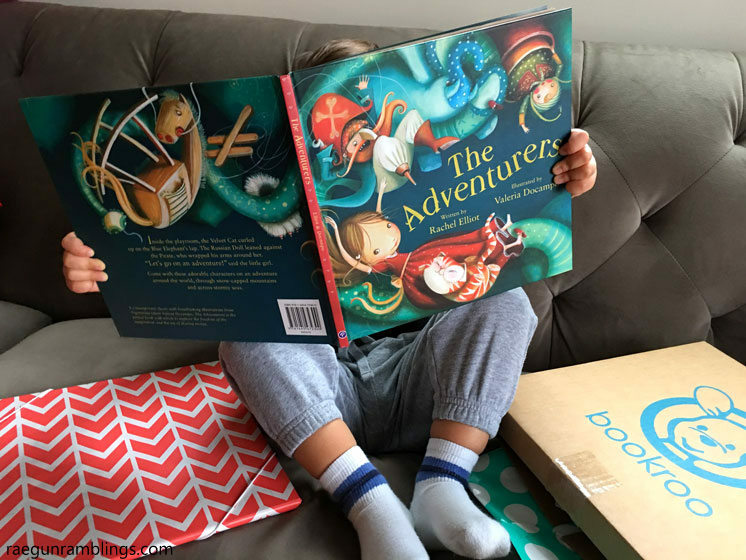 More info and how to get 20% off a Bookroo subscription below. Have you ever noticed that picture books can be so large and not fit in your standard book bag? Umm yeah. 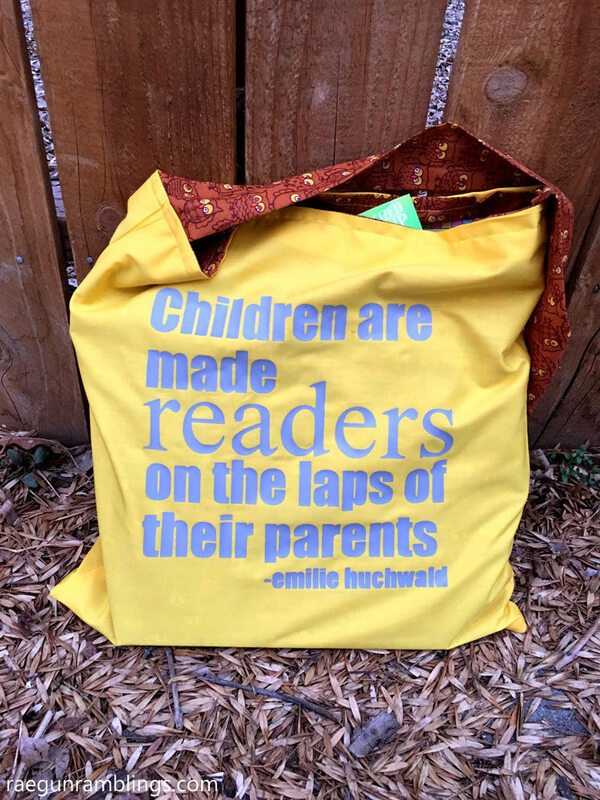 So I thought it would be fun to make a book bag specifically to tote Teddy’s reads in. My design is nice and wide, perfect for lugging those over-sized books around plus I’ve got a little slot for your library card. Fun right? Cut Outer into two pieces each 16 inches wide x 17 tall. Make sure your fabric faces the right direction if it’s a directional print. Repeat with the Inner Fabric. Cut two strips fabric 6 inches wide by 17 tall. 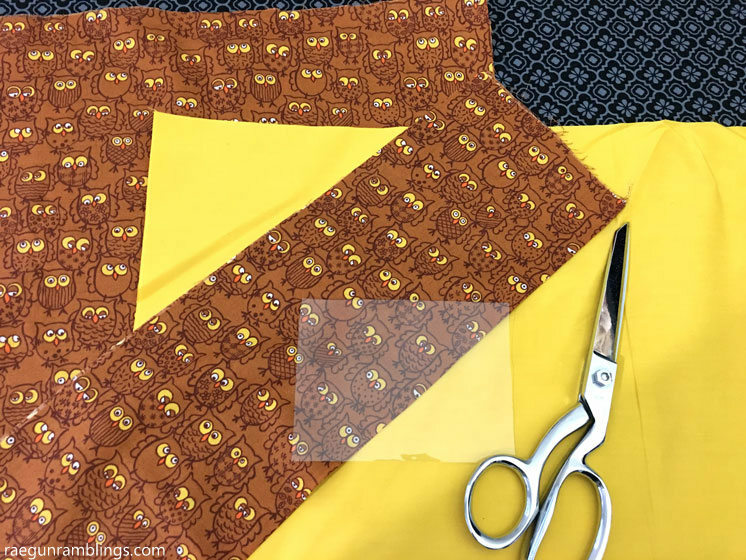 If you’re using quilting cottons that are 44 inches wide this should be the remaining fabric after you cut the outer and inner pieces. This can be out of either fabric this will be your strap fabric. With right sides together sew the sides and bottom edges of the outer fabric together. Repeat with the lining fabric. Turn the outer fabric right sides out. Sew the card holder on sewing down the sides and bottom edge. To keep the vinyl from sticking to the pressor foot place a piece of wrapping tissue paper in between the vinyl and the foot while you sew. When you are done just pull it off. Tuck the lining fabric into the outer fabric and iron down the top edge of both 1 inch. Set aside. Sew the two pieces of the strap together along the short edge making sure that your pattern will face the right direction when the strap is attached. Fold the strap in half lengthwise and sew down. Turn right sides out and iron. Tuck the ends into the side seams of the bag and sew all around the top edge making sure to catch the lining, outer fabric and the strap. If you want to add some vinyl do that now. See this iron-on vinyl tutorial if you’ve never tried that before. And if you’re curious about Bookroo they are letting me offer 20% for you to try it out! They have a board book and picture book option and so far I’m super impressed. Like I said we have A LOT of books and we don’t have the ones from this month’s box! 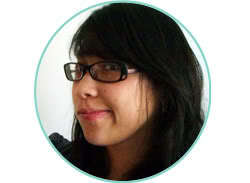 Bookroo is all about finding the hidden gems to include in their boxes so there’s less chance you’ll have them already. They have a panel of 12 families (with a total of 22 kids) that rate the books for all kinds of things including re-readability. It’s no wonder they find such fun titles! I’m so excited for Teddy to open the box every month. They are giving me a special deal to share, 20% off their 1 month or 3 months subscriptions! 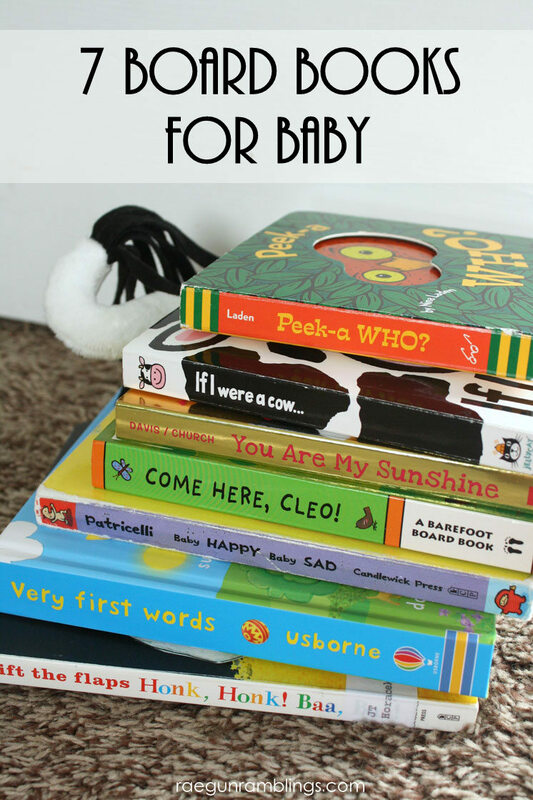 Do you have any favorite kiddo books? 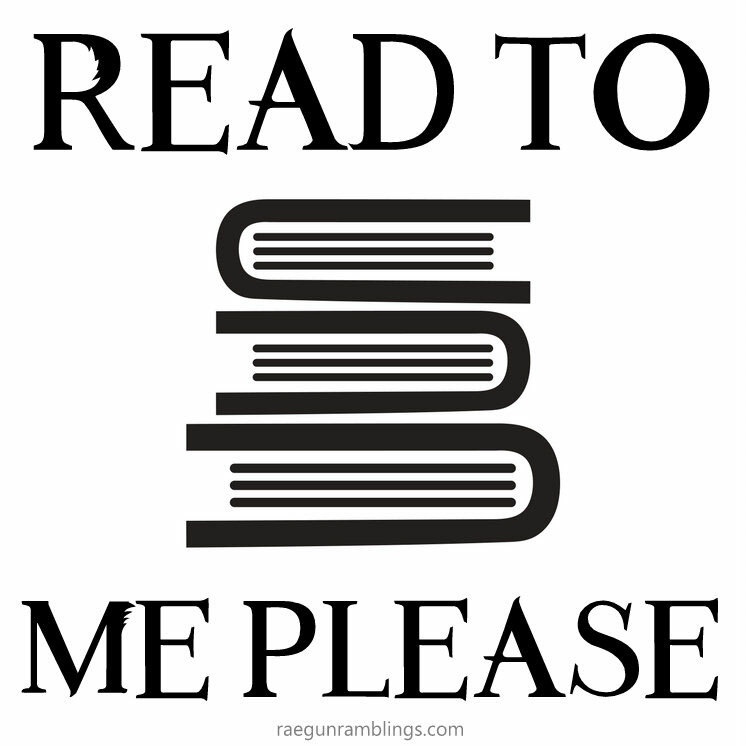 Or maybe a book that has received a lot of reading time in your home? I’d love you to tell me about it in the comments! 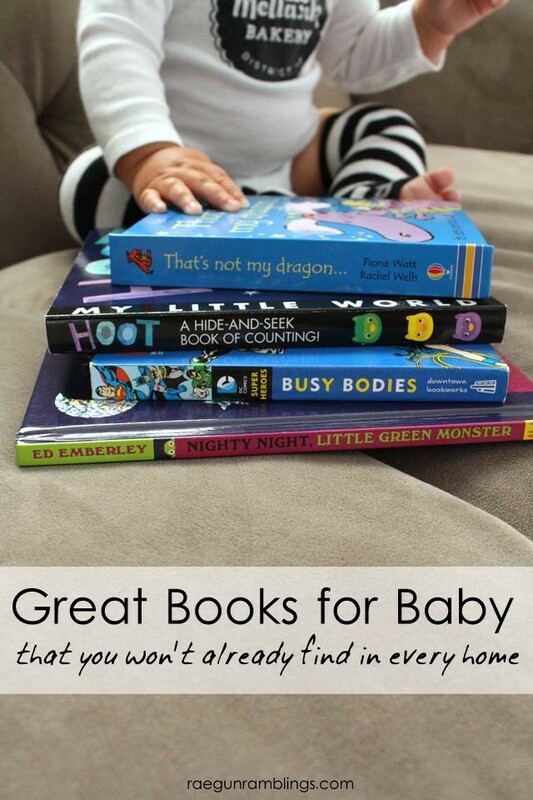 Want some cute books to read to your little one now? These are all great. 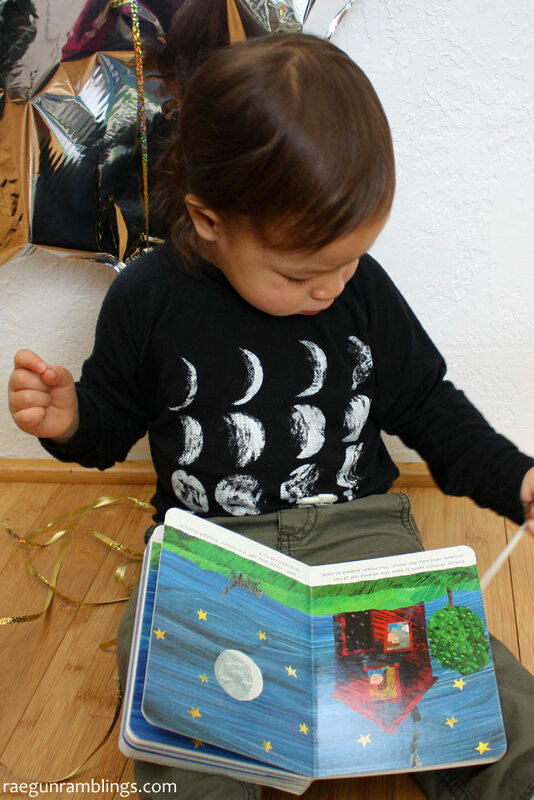 This sweet little moon shirt is actually inspired by Eric Carle’s Papa Please Get the Moon for Me book. An all time favorite read in our family! These board books are still some of our most read books in our house! ps – and the germy books! Worst one I ever got was a book with a dried booger stuck to the side of the pages. I discovered it as I was flipping through the book checking condition – it flew across the room! I was like, yeah, I’m not going to go search for that. Oh, and it was an ADULT book! I wiped the cover with disinfectant profusely before putting it back on the shelf. I love that it’s reversible! 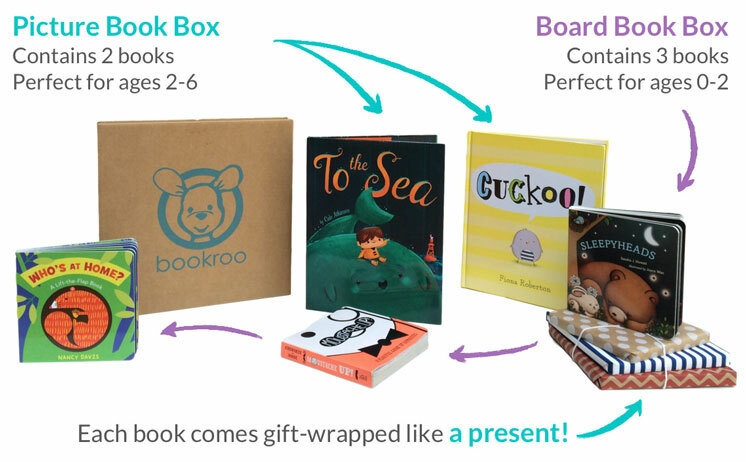 I’ve never heard of a children’s book subscription box. I love this idea. I’ll have to check it out!